It can be sugar-coated but the reality is that abortion is already established as an acceptable method of contraception. It now seems to be that infanticide, immediately after the birth of a baby that could have been eligible for abortion, is also an acceptable method of contraception for US Democrats. 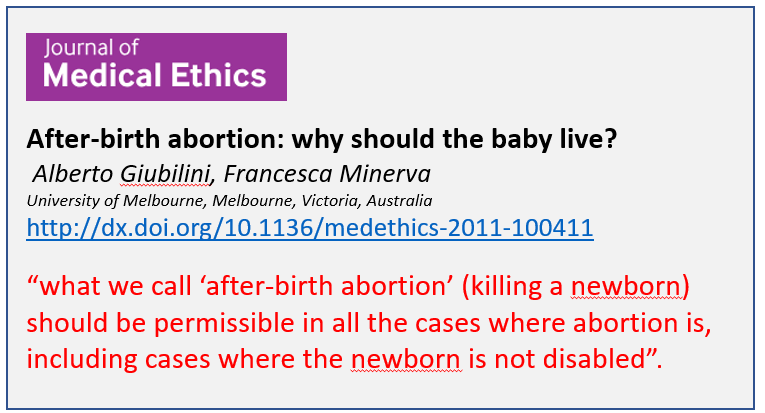 The “progressives” in the US are now finding that infanticide of the newly born can be ethical. Why not babies upto 12 months old? 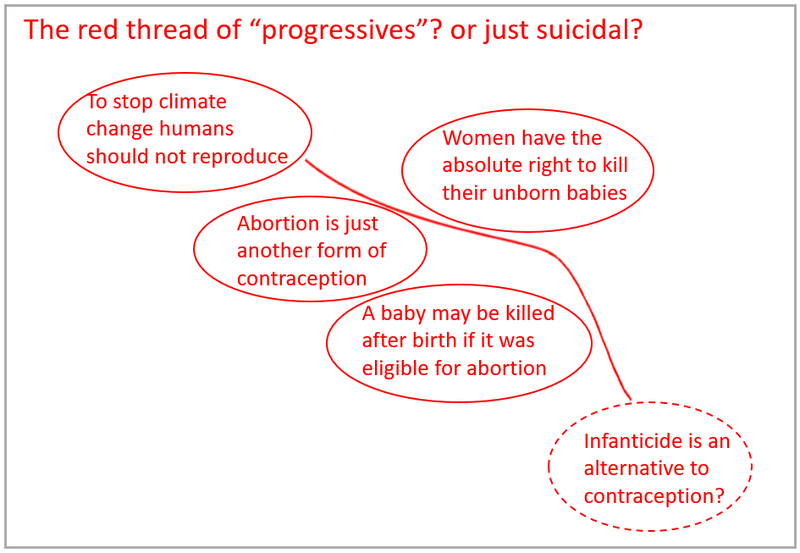 I am not sure where the “progressives” (typified by the extreme wings of the Democrats in the US, Social Democrats and Liberals in Europe and Labour and Liberals the in the UK) are headed, but their path seems sanctimoniously suicidal. It seems to me to be more a question of narcissistic self-indulgence than of ethics. Kejriwal – Fasting unto death? When I was around 10 or 11 and was being punished by my parents for some wrongdoing (usually by the withdrawal of some privilege), I remember I used to “threaten them” that I wouldn’t eat. I remember actually carrying out my threat and missing dinner on two occasions. My parents were sensible enough not to give in. There was never a third occasion. The Chief Minister of the National Capital Region of Delhi, Arvind Kejriwal, is now going on indefinite hunger strike from 1st March to get full statehood for Delhi (and thereby get a salary increase). He says he is prepared to “face death”. Wow! How brave! How simply frightful! How delightful! I expect he will face death from a great distance and then turn away. Delhi Chief Minister Arvind Kejriwal on Saturday announced that he would start an indefinite hunger strike demanding complete statehood for Delhi next month. “From 1st March I will begin a hunger strike. I am going to fast till we get statehood. I am ready to face death,” Mr Kejriwal said in the assembly. 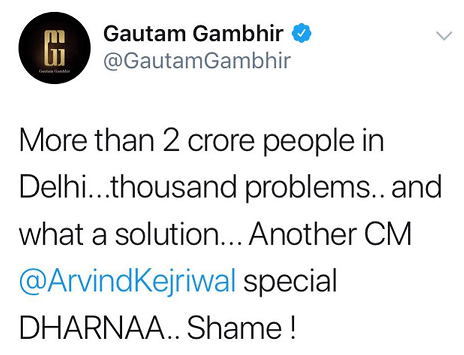 Gautam Gambhir had the right response to Kejriwal’s histrionics. Posted in Behaviour, India, Politics | Comments Off on Kejriwal – Fasting unto death? Socialists generally see all Jews as part of the Capitalist Enemy. That history goes back to the very beginnings of the Socialist movements in Europe. (It is not to be forgotten that the National Socialists – Nazis – had their socialist connections. They were primarily triggered by their form of anti-communistic socialism where personal interests were to be subordinated to the common good). Radical socialists are so eager to be seen to be pro-Palestine and pro-Hezbollah that they are rabid in their hatred of Israel. With both Jews and Israel being on their hate list it is a simple step to antisemitism. All Muslims are intrinsically anti-Israel (even if not necessarily anti-Jews). For the not insignificant proportion of radical Muslims, antisemitism is their own article of faith and can be manifested either against Jews or Israel or both. With the increase of Muslims of all sorts in Europe – including the radical kind – it is inevitable that the level of antisemitism is on the rise. The neo-Nazi descendants of the Nazis. now find themselves on the far right of the political spectrum. They cannot forget their antisemitic roots which lie deep in their souls. However, they are now energised primarily by their opposition to the immigration of “lesser” races and religions (blacks and Muslims). The growth of these parties as a backlash against Europe’s rather stupidly naive “multiculturalism” carries the strain of antisemitism along with it. 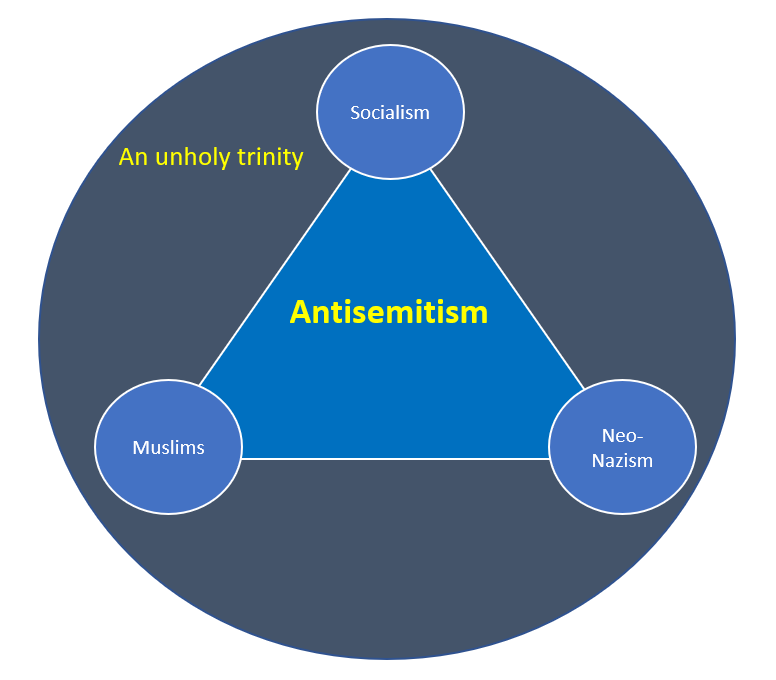 Socialists, neo-Nazis and Muslims make up the unholy trinity now fueling the growth of antisemitism whether in France or Germany or Sweden or in the UK. For the more extreme socialists or Muslims or neo-Nazis, to be antisemitic is a badge of membership. But it is not really very surprising. There seems to be a revival of the 70s concept of Gaia (Mother Earth). The concept, in a haze of hallucinogenic visions, endowed the Earth with consciousness and purpose. It made a new God of the Earth’s biosphere and attained a form of cult status – especially among the mindless and the great unwashed. It seems the millennials too are searching for meaning and purpose and some have revived some of the virtuous and self-righteous cults of 40 -50 years ago. It brings back the classic dilemma of group versus individual. There can often be conflict between a “group purpose” and an individual. Invoking the “common good” is often used to suppress the individual. Democracy is all about suppressing the minority. Is a group purpose (perceived by who? defined by who?) superior to that of an individual? This is just another manifestation of the same kind of conflict interface which appears between local/global, national/international, bilateral/multilateral and centralised/distributed. Consider the characteristics of purpose. Purpose is not confined only to conscious minds or only to all living things. Purpose, as an objective or a direction, can be attributed to anything. But the attribution and its articulation seems confined to the existence of a conscious mind. Having (or being attributed with) purpose implies the flow of time. It implies a current state and actions to reach some other desired state at a later time. A purpose can not and does not address a past state. A purpose as an objective may describe a future state outside the space of perceived causality (and therefore of an imaginary state). But observe that even an imaginary future state can provide a real direction for current actions. 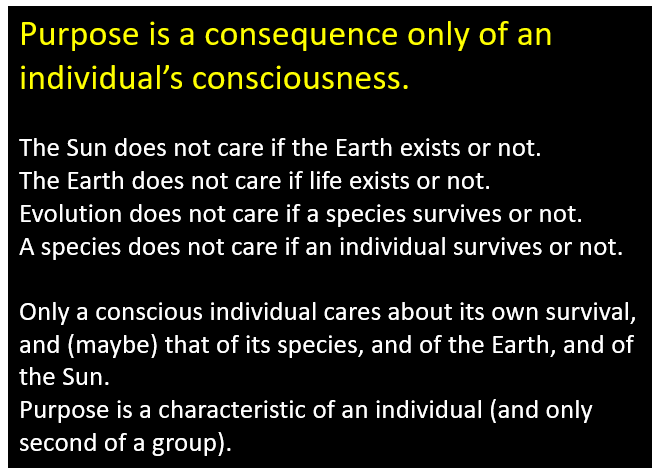 A consciousness does not need to have a purpose and all its actions may be merely reactive. It also follows that if a conscious mind perceives no desired direction (no purpose), then its actions are reactive and merely respond to the prevailing imbalances it experiences. When more than one conscious mind is involved, individual purposes and the actions they engender, are additive and combine as vectors giving a “net” purpose. The purpose of purposes is to give direction to actions. If an individual perceives no “higher” group purpose, that individual’s actions are then directed by that individual’s own purposes (or lack of purpose). Even where a group purpose is discernible, it can only be effected by the actions of individuals who subordinate their own purposes to that of the group. “Higher” purpose is irrelevant unless – and until – it is adopted by the entity carrying out the action. A “higher” purpose is ineffective except as disseminated and adopted by the actors. Ultimately there is no higher purpose than that set or adopted by an individual for himself or herself. When a group purpose suppresses or overrules an individual purpose, a feedback loop from the individual to the group (registering protest or dissent) is possible. A pseudo group consciousness comes into play (even if that can only be effected through other individuals). But no form of group consciousness can be ascribed in any way to any species or to life in general or to Evolution or to the Earth or to the Sun. And Mother Earth does not care what humans do or don’t do. The Indian General Election is due in April/May 2019. Indian politics are never straightforward. Whereas the Indian National Congress has lost its clout as a truly national party, the concept of the INC allying itself with different regional parties seemed to be a pragmatic way for them to begin to challenge the BJP and PM Modi. Of course the ideological convolutions of allying with a variety of regional parties, ranging from communists in some states and muslim fanatics to the parochially nationalistic in others, were more than a little intellectually challenging for Rahul Gandhi. 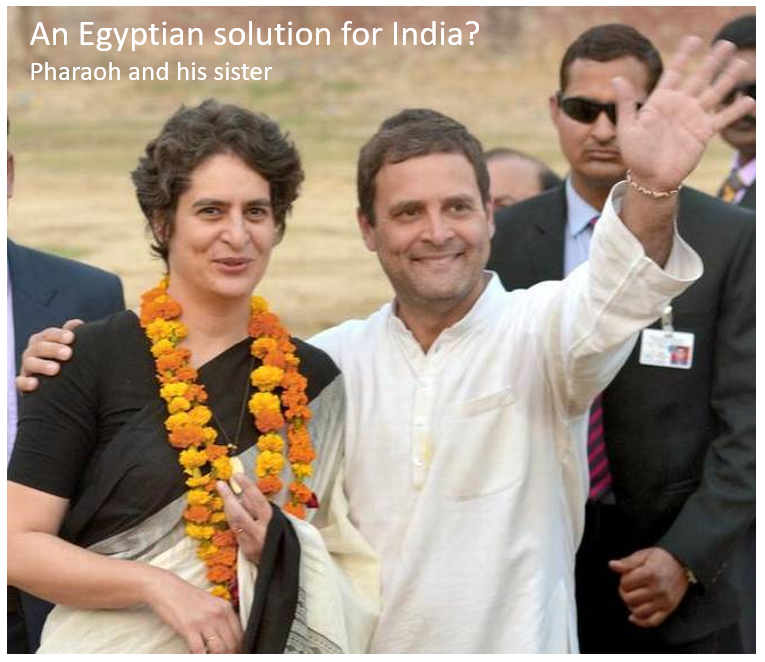 Which has, of course, led to a sort of Egyptian solution, where his sister, Priyanka Gandhi, has been brought to stand beside/before/behind him. The idea of Priyanka & Rahul Gandhi ensuring the security of India does not fly. There are still 3 months to go but if security is a matter of concern at the time of the election, the Priyanka effect will not compensate for the INC’s perceived policy of appeasement of Muslims. 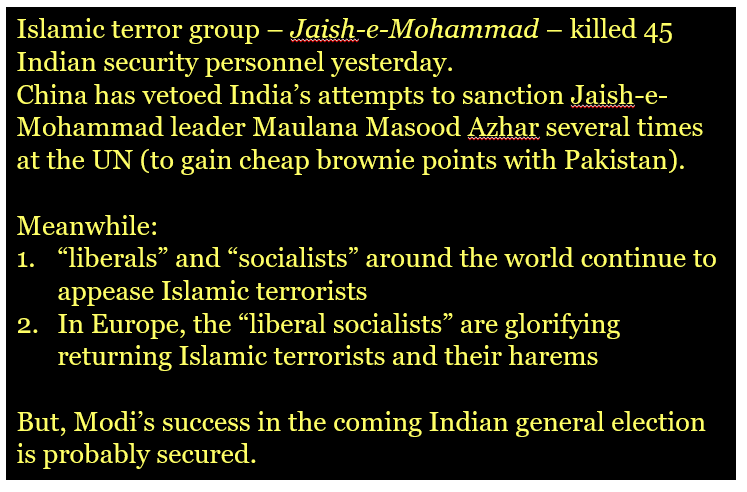 Security will override any other issues of the time and PM Modi would then be returned with some ease. I am still old-fashioned enough to believe that abortion is a necessary, last-resort procedure to be used only if the life of the mother is at risk or if the fetus is nonviable. But it seems to be becoming just another form of contraception, and in a few cases, the method of preferred contraception. Just a quirk of the numbers but the proportion being aborted today are about the same proportion as infant mortality claimed some 300 years ago. Globally the number of abortions is about 25-30% of the number of live births. In Sweden it is just over 30%. In the 1700s infant mortality killed about 20% of children under 1 year old. Today around 30/130 = 23% are aborted. Repeated abortions can be prevented if abortion clinics improve their contraceptive counseling, according to a new study. Siri, who has gone through several abortions, thinks that counseling in connection with abortion is important. “You feel immediate shame and guilt because your pregnancy is unplanned. Then it is about being treated with empathy and respect in a longer meeting. Perhaps the contraceptive advice should not be just 15 -20 minutes.”The mother of two, Siri, has undergone unplanned pregnancy several times, and has found it difficult to find a suitable contraceptive.. 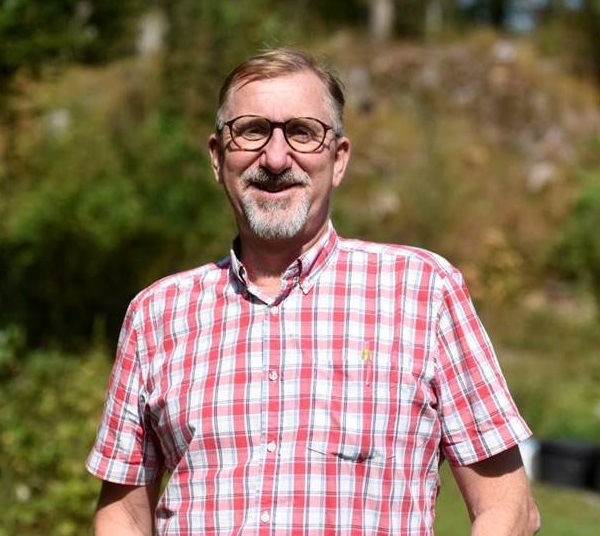 This is a recurring theme in the doctoral thesis that midwife Helena Kilander from the Höglandssjukhuset in Eksjö has completed at Linköping University. She followed 987 women who had abortions in 2009. A quarter of the women came back to make a new abortion within a couple of years. Many of them had received birth control pills, but did not take the tablets. …………. Every day, almost 100 women in Sweden have abortions. And it is more common here, than in the other Nordic countries, that women have repeated abortions. “Although there are few negative long-term effects of undergoing abortion, it is common for this to be a stressful event in women’s life”. SCB: 110 – 115,000 babies are born in Sweden every year. (In 2016 it was higher than usual at about 117,000). Around 36,000 abortions are carried out every year. 25% of those surveyed had repeat abortions. Some women have multiple (4 – 5) abortions. Paradoxically, what used to be the duty to use abortion as a last resort to preserve the life of the mother has been “liberalized” into a woman’s absolute “right” to kill her own unborn children. 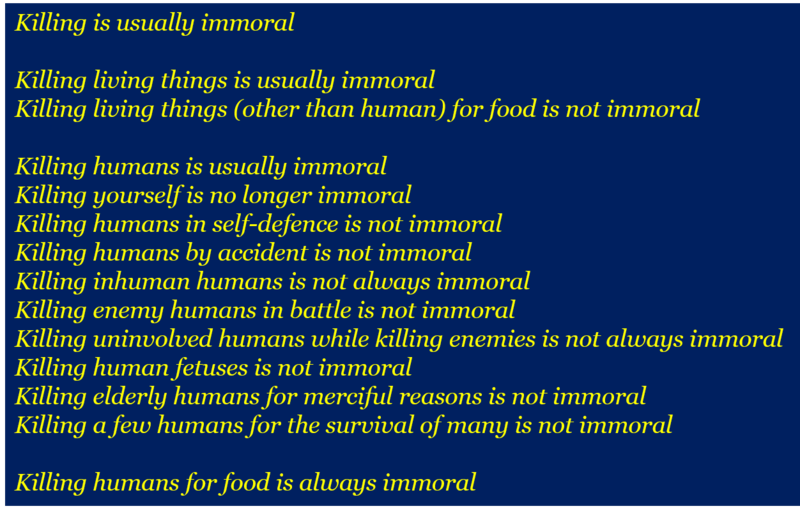 Posted in Behaviour, Ethics | Comments Off on Where murderers can’t be executed but new born babies can …. A good man died yesterday. He was a friend and would have been 60 next week. I first met him only 9 years ago but admired his mind, his energy, his initiative, his inspiration and his friendliness. I am privileged and glad and thankful to have had him as a friend. Of course I know that globally some 150,000 others also died yesterday. And that some 350,000 babies were born yesterday. I understand Dylan Thomas that much better now, as the regret and sorrow that he will no longer touch and inspire those around him, turns into a kind of anger. And along with Dylan Thomas, I rage against the dying of another consciousness, where all Pelle experienced and remembered and had learned and knew is lost forever. But I am very thankful I knew him and I can call him a friend. It varies over time and space. 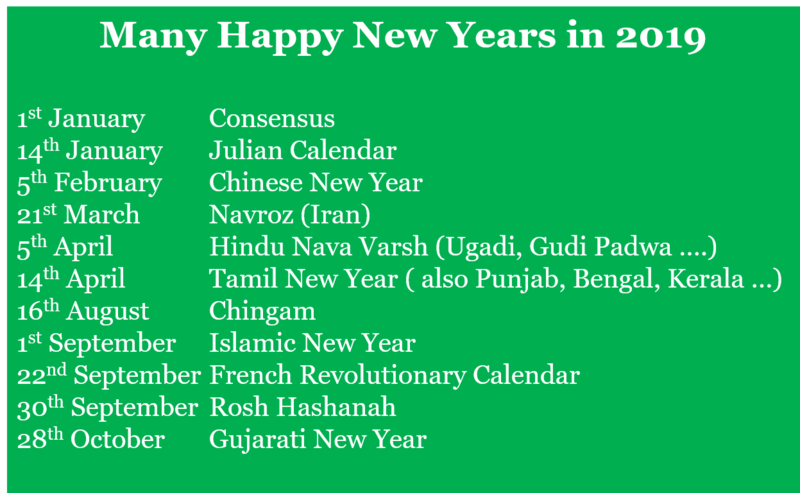 Apart from in June and July, it would seem that New Year is celebrated somewhere in every month of the year.